The day Tom's life was spared was his GodWink moment even in the midst of an American tragedy. It was just like any other work day. 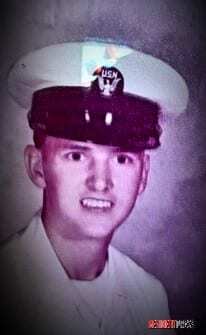 Tom’s ship was docked and hauling supplies for the Marines and the Navy Seals. With his ship, the LCU, docked, the 5-ton military truck arrived daily and would load up with ammo and food for supplies for the guys at the barracks. It wasn’t long after handing out supplies and deliveries that Tom got to know most all the Marines and the Seals. Some of the Marines practiced repelling off the side of the ship for extra training. They worked hard perfecting their skill and craft. It was a nice change of pace from what they had been doing for the last three months. Things seemed more relaxed. The last couple of months dodging artillery rounds and the recent bombing in April at the U.S. Embassy at Beirut had been pretty rough. However, now the American troops were trying to maintain a non-martial stance and bring peace. The Marines had just moved into the old Lebanese Army barracks near the airport as America continued to seek a peace agreement. Soldiers was settling in. Through it all, everyone became friends, friends that would be remembered for a lifetime. The day was coming to an end and Tom boarded his ship for the night. They needed to deliver some water tomorrow, but that didn’t matter at the moment. Tom was ready for sleep. Little did he know, that when he awoke, his life would be changed forever. About 6 :30 A.M., Tom was suddenly awaken by the Lieutenant from the LSD in charge of the Assault Craft Union. The Lieutenant was beside his bed tugging at Tom’s shoulder. It was almost like a dream. Tom couldn’t seem to get himself awake because the Lieutenant never woke him up. Tom was the captain of his ship, yet the Lieutenant was persistent that he wake up. Tom finally set up on the side of his bed. He rubbed his eyes trying his best to get awake. The words still didn’t seem like reality. Tom had a hard time piecing it all together. He had just been ashore with these guys. This was Sunday. It was supposed to be a day of rest. But, now… now all this. These were his friends. These were Americans. This could have been him. He had visited those barracks plenty of times, even spent the night there, and now they were dead? Tom informed the guys on his ship, and they docked the ship. A 5-ton Military truck picked him and five of his guys up to transport them to the BLT. Four men stayed behind to guard their Naval Ship. Tom had no clue what he was about to see. This was about to change his life forever. When they reached the BLT, Tom’s heart sank. It was a disaster. It was almost like being in a horror movie. People were dead everywhere. People were screaming and hollering for help. People were wounded. These were Americans. These were his friends. There was no time to waste. Tom went straight to work looking for anyone still alive. Everyone, who was able, was digging. “It was a disaster to have that many people trapped in the building and barracks and be helpless,” Tom thought. And, that’s exactly what Tom did. He gave it to God. You see, Tom could have been the one killed that day, but he wasn’t. He may never understand why he lived and his friends died, but for some reason, God spared his life. It was his GodWink moment in life. God had saved him. Oh, how Tom wishes that his friends would have been saved as well! However, over the years, Tom has realized to just “give it to God,” just like he had to do on that day that all of these events took place. So many times in our life we question God, “Why?” I think God understands why we question, as long as we don’t focus our whole lives on never knowing the answer to the “why.” We tend to blame God. We tend to be mad at God. We say we want nothing to do with God. But… being mad at God won’t change what’s been done. It only pushes us farther away by staying angry at God. We have to let go and let God be God. I know this sounds so much easier said than done. However, we must not throw in the towel as soon as a huge storm surrounds our life. Tom will never know why he lived that day, and his friends died. However, through this experience Tom realized his life was spared! He still has the rest of his life to live. He is thankful God allowed him to live. You must choose joy. If not, the bitterness and sadness will uproot your life. If you are battling with depression, seek help. Pray, but don’t be afraid to talk to someone. Let your friends and family help you. Most of all, let God help you! Life was never intended for sadness to rule over our lives. Life was intended for you to be happy. God has spared your life, so choose JOY! Psalms 40:1-3 I waited patiently for the Lord to help me, and he turned to me and heard my cry. He lifted me out of the pit of despair, out of the mud and the mire. He set my feet on solid ground and steadied me as I walked along. He has given me a new song to sing, a hymn of praise to our God. Many will see what he has done and be amazed. They will put their trust in the Lord. History fact: On October 23rd of 1983, around 6:22 A.M., a suicide bomber drove a 19-ton yellow Mercedes-Benz stake-bed truck filled with 2,000 pounds of explosives into a U.S. Marine Corps 1st Battalion, 8th Marine Regimental Battalion Landing Team barracks at the Beirut International Airport. This was not the water truck the Marines and Seals had been expecting. The driver took an access road leading him to the compound which he then accelerated to crash through a 5-foot-high barrier of concertina wire separating the parking lot from the building. He then crashed through a guard shack in front of the building smashing his way through to the lobby of the BLT. Although, LCpl Eddie DiFranco tried to fire a round in his chamber, it was too late. The man, Ismail Ascari, detonated his explosives. The four-story barracks building collapsed, crushing the American soldiers amongst the rubble. The explosion killed 220 Marines, 18 sailors, and 3 soldiers. That day, 241 American servicemen died. Minutes later after that bomb irrupted, a second bomber drove into the basement of the nearby French Paratroopers’ barracks, the Drakkar building, killing 58 more people. In total, 307 people were killed: 241 U.S. and 58 French, six civilians, and two of the attackers. Another 128 Americans were wounded in the blast, and later 13 died of their injuries. They were counted among those who died the day of the attack. The Hezbollah , the Lebanese Shia group backed by Iran and Syria, were responsible for the bombings. Four months after these bombings, American forces left Lebanon without retaliating. This attack became the first battle in the nation’s ongoing war against terrorism according to Vice President, Mike Pence. 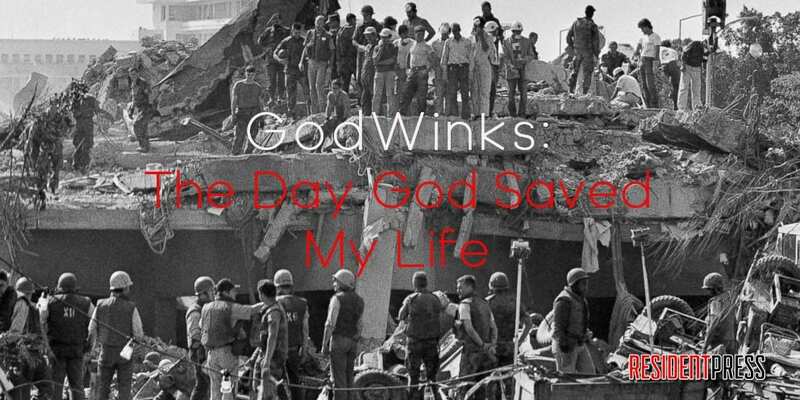 GodWinks: the unexplainable moment the life when it can only be God!